Home Podcast TOP #6: How Effective and Beneficial Are Dog DNA Tests? These days, DNA tests for dogs are becoming more and more popular as a lot of pet owners choose to learn as much as possible about the dog they have adopted. But how effective dog DNA tests are, and are they actually beneficial to us as pet owners? In this sixth Theory of Pets podcast episode we're discussing this and a lot more related to canine DNA testing. 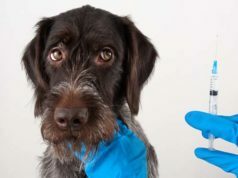 In order to get to the bottom of these canine genetics related questions, I called Ryan Boyko, CEO of Embark, whose vast amount of knowledge on the subject helped to answer a lot of the questions I've had about doggy DNA tests. Ryan's company Embark is one of the leading canine DNA and genetic testing companies today. During our conversation, we were able to cover many aspects of this subject matter and Ryan told me all about the benefits of having a canine DNA test done for your Fido. I must admit this interview has really opened my eyes because I used to think the idea of doggy DNA testing was silly and unnecessary, but after speaking with Ryan I now understand the major health benefits and long-term money saving that genetic testing provides. Episode link: TOP #6 – Are Dog DNA Tests Beneficial? How Effective and Beneficial Are Dog DNA Tests? Hey guys, it's Episode Six of Theory of Pets, my name's Samantha for those of you that are new around here, and Theory of Pets is a podcast that just talks about all things pet related, so I take you guys' comments and questions that you leave on our website which is TheoryofPets.com, and I try to find answers to those, I answer my own questions some weeks that I've been curious about, and one of the things that I really was kind of skeptical about was dog DNA tests, they're becoming more popular now, you're seeing more companies do them and you're hearing about them more. So I want to answer my own question this week and I wanted to know what was up with these DNA tests, what are they? What are they good for? Are they beneficial? How expensive are they? So I thought of looking around, and you can get some fairly cheap, you can get them as cheap as about $50 or they can be as expensive as a couple of hundred dollars, and as with anything, of course with dog DNA tests, what you pay for is what you get. So with the $50 ones you're pretty much just getting your dog's background, what breeds are they made up of, this is I guess important if you have a mutt and you're curious about what breeds he's made up of, it's also important if you have a pure-bred dog and you want to make sure that he is a pure bred as the breeder says. There are some common reasons like that behind it, and then there are also some health reasons to get these DNA tests, and the more research I did, the more I realized that the more expensive tests, those tests that you can buy for 200 of 200 or more dollars are going to give you a lot of information about your dog's health as well, and even the cheaper ones, if you're just looking for breed, those can give you some health insights too. Certain breeds are more prone to certain genetic conditions, certain health conditions, things like arthritis, hip dysplasia, certain types of cancers, those things can be genetic, so if you find out what breed your dog is you might find out that he's more prone to certain things and then if you have a young dog you can be proactive about that, if you adopt an older dog or you don't do the test until your dog is older it gives you those warning signs to kind of watch out for and some great information for your vet if you… for example our dog has a heart condition and to get that diagnosed… she has cardio myopathy, and to get that diagnosed she was at the vet, she stayed overnight at the vet for four days, it was extremely expensive for us and took a lot of testing to kind of weed out because there are so many issues that can happen with a dog's heart that they kind of weed out the more common ones first. Cardiomyopathy happens to be one of the less common ones so we went through a lot of testing and a lot of money and a lot of stress and anxiety for us before we figured that out. Had we done a genetic test before or a DNA test before and we knew that boxers were more susceptible to that we could have maybe mentioned that and done that testing first. So there are a lot of benefits to these tests. The DNA testing in general, that's just going to give you the breed information and you're going to find out if your dog is a pure-bred boxer or maybe a mix of a boxer and a Labrador and a German Shepherd, or whatever the case may be. 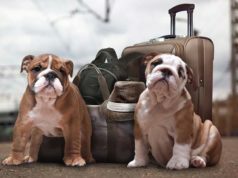 The cheaper tests don't offer as many breeds, so some of them, for example the more expensive ones might offer over a hundred and 50 breeds, some of the cheaper tests might only test for the most common 50 breeds. So keep that in mind, again this is just one of those cases where you get what you pay for so those cheaper tests don't test for as many things. The more expensive tests will test for other things as well as breed. And one that I stumbled upon is called Embark, and Embark is, I would say, the most inclusive dog DNA genetic test on the market, it works the same way as the DNA test for humans, you just… you order it, you get a kit in the mail and there's a swab in there. You swab the cheek of the dog and you send it back in and then the lab tests it. It takes six to eight weeks to get the results back but you're getting emails once a week or once every other week while this process is going on just letting you know that they're doing breed testing right now, they're doing genetic testing right now, they're looking for these kind of common diseases, whatever the case may be that they're working on at the moment you'll get these little updates throughout, and then six to eight weeks later you get the extensive results from your dog's DNA test or genetic testing I guess, I got both in this case from Embark. So Embark's a more expensive kit, it costs about $200 but you can get a lot of really beneficial information from the test. This week I was able to speak with Ryan Boyko who is the CEO of Embark, and as I mentioned, they are a company that does genetic and DNA testing on dogs. Embark offers some things that other DNA testing… dog DNA testing companies didn't offer so that's why I wanted to speak with them and get some information about genetic testing on dogs and the benefits of that and so on. So I will jump right into the interview and let Ryan explain those benefits to you all as well. Samantha: I guess my first question would just be like dog genetics I think is something that people don't know a whole lot about so when they hear DNA tests for dogs they don't really know what to expect, so could you tell me just a little bit about dog genetics and why they're so important? Ryan: Yes. So dogs are the most diverse animals on earth, you can see two-pound Chihuahuas, 200 pound Great Danes, and a lot of that diversity you see in the breed itself and so if you tell me this is a Great Dane I know that it's going to be a big dog and that kind of stuff; but dogs are also, even within breeds you have a lot of unique characteristics and even health issues that are knowing the breed that some are affected, some not affected, and so having a comprehensive dog genetic profile like we provide let's an owner know first of all what breeds are in their dog if they don't know, which gives ideas about personality and some disorders and all that, but also lets you know uniquely your dog, what kind of health concerns he might have, what's in the traits and other kinds of things about your individual dog. Samantha: Yeah that's definitely great information to have especially if you have a younger dog. And then there is also some health conditions that maybe are breed-specific that you guys test for, a lot of different health conditions. Could you tell me a little bit about those and why that's so important? Ryan: Yeah exactly. So we test for, for example MDR, which is a drug sensitivity, so it's actually not like a genetic disease it's actually just a sensitivity to certain veterinary drugs, things that are anti-parasitic and cancer drugs, those kinds of commonly-used drugs, and so that affects a whole bunch of different breeds, most of the shepherding breeds and some site hounds, and it's also in eight percent of mixes, of shepherd mixes, so even some dogs that don't look like a shepherding dog are affected. So it's just one example of something that's in a lot of mixed-breed dogs and a whole bunch of different breeds. There's others… so there's a heart disease that we test for that's in a whole lot of different breeds/mixes. Bladder stones is another one, exercise-induced collapse, you know there's a whole bunch of different diseases, we test for over a hundred and 60. Yeah, some of them are more breed-specific than others but many of them affect lots of different breeds and lots of different mixed-breeds. Samantha: Yeah, we actually… I'm interested as I told you that I tried an Embark test, and I take… just for viewers that don't know, it takes six to eight weeks to get your results back. So we have a boxer who she's middle-aged and she's already been diagnosed with a heart condition, with cardiomyopathy, but that would have been something that if we weren't able to or knew about I guess dog genetic testing when she was younger, if we had tested for that before hand and knew that was kind of coming, what can pet parents do if they find out, for example if you sent our test back and it said our dog was prone to those conditions, what can people do with that information? Ryan: Yes, so several of them you can change the dog's diet and reduce the severity or delay onset or potentially prevent the onset of some of these conditions. Bladder stones is a big one where we had people test positive for that and make changes in their dog's diet. But there's a number of other conditions some of which you might not even guess, but where dietary changes can actually make a big difference. You know also just knowing in advance will help you and your veterinarian plan for what your dog might experience in the future which can accelerate when they're…if treated can prevent you from a lot of stress and not knowing and paying thousands of dollars in bills to figure out what the problem is when this could let you know in advance what that problem likely is. You know a lot of the diseases, especially neuro-muscular type diseases they have similar presentations, a whole bunch of different diseases, so you have to test a wide variety of things once the dog exhibits symptoms, unless you already know. We had one customer with a dog with exercise-induced collapse gene where they just couldn't understand what was going on with their dog and had spent a good bit of money and time trying to figure it out and what they should do about it, and that in particular exercise-induced collapse isn't that dangerous to the dog, it's shocking to the owner, the dog runs for a little bit and collapses, and so knowing what it was helped them know both what to do and also put their mind at ease. Samantha: And do you have… does Embark have veterinarians or canine health specialists on staff? Do you give advice or information about these things or do you simply explain the test results and then the pet owner is kind of on their own to see their veterinarian and seek advice for what the findings are? Ryan: Yeah we have a veterinarian who's trained in genetics as well as a VDM who actually emails or calls everyone who has a positive result before they get all of the result released to them, and so we provide a lot of information and contact about the illness generally and presentation and what studies have shown people can do. We don't replace your veterinarian, so in the end if you have any results you have to… veterinarian and make a plan about what exactly you're going to do for your dog because you need somebody who can see the dog and knows the whole veterinary history and the age, all of that and what the right thing to do is. We're not the final diagnosis or replacing your vet, but we definitely don't leave you clueless. Samantha: Yeah… no that's great, so you at least give people a starting point to kind of understand it a little bit. I know for example for us, again I'll go back to our boxer Chloe, when we first heard the diagnosis that she had cardiomyopathy and that it was a heart condition, she had spent a night at the vet actually to do some tests and things like that, so we heard that information over the phone and then it's a 30-minute drive to our vet, so for 30 minutes we're kind of racking our brains about what can this mean and kind of what the future holds, so it's sort I think a really nice thing that you guys at least give that initial information so that pet parents can kind of ease their mind a little bit about where to go moving forward and then touch base with their vet to make a more formal plan. Samantha: Great. So dog DNA tests, one thing about them I think a lot of people… that I hear I guess from a lot of people are that they're so expensive, and pet parents are always saying they're expensive and is this something that's really necessary? But one of the great thing about DNA tests is they kind of pay off in the long run. Can you explain a little bit about how the tests are actually of benefit financially to pet owners? Ryan: Yeah, so as I said before we've had people who…in fact several people have tested positive… have dogs for conditions where you can avoid literally thousands of dollars in emergency veterinary care and unnecessary testing. We had a woman who sent us long emails because she had bought the Embark test and then a week later her dog got ill and couldn't urinate and so she had to take him to the emergency room. It was on a weekend and she spent about $2,000 fare to basically find out the dog had bladder stones, and then our test results came back shortly thereafter which unfortunately would have maybe helped her avoid that if she had bought it a little bit earlier, but we weren't… she bought it right when we started selling it so, just unfortunate, but it did help narrow down what kind of bladder stones they were and what the treatment plan moving forward should be, so it still helped her. But again you never know what it is that your dog might have and where that benefit's going to come, but we've had many of our dogs have tested positive for things that in the end are going to… knowing that information is going to save their owner literally thousands of dollars. Samantha: If a pet owner is thinking about doing any type of genetic testing do you recommend that it's something done in younger years? Is there a certain age that maybe like when you first get a puppy at eight weeks old, is that too young to do it or are there a better age to do the testing at? Ryan: Well the thing is your genes don't change so as long as the dog has saliva then you can get the dog tested, so an eight-week old puppy is certainly fine to test, in fact I took a sample on my puppy when she was eight months old… sorry eight weeks old and… yeah, so there's really no age that's too young. Obviously it's one of those things where the benefits accrue over time and some of the conditions we test for present when a dog is a few weeks old, some present when the dog's six months or a year old, and some present when they're four or five, some of the ones, especially the ones related to blindness and things will present when they're eight, nine years old. And so it's always valuable because there's always things that we're testing for that might impact a dog late in their life that's in some of the things we test for, but obviously the earlier you can test the more time you have to potentially change the course of the dog's life through changing their lifestyle or their diet or other things, and the more time you have to accrue that benefit. Samantha: Yeah, absolutely. And the data you collect now I know, again because I've done one of the tests, you do a questionnaire in the beginning and then obviously you send in the sample and you guys do so many tests on that, do you use any of that data for research of any kind? Ryan: Yeah exactly. In fact we're excited, in the next few weeks we're going to be releasing several what we're calling “mini-checkups” but they actually use your dog's genetics in there, some of their results, some of it's really their breed mix and some their personal genetics, and then ask you a series of questions about their diet and exercise for example, and their history with allergies and things around their behavior, we have several different of these that are going to be coming online and it gives you a chance to give us some information which helps us to research into the future to understand the genetics of more things but also gives you information where we actually get to put together what we know of the genetics of your dog and what you know from living with your dog, and put that together to give the user… the pet parent recommendations about their feeding and exercise and allergies and all of that kinds of stuff. So we're really excited cause our customers or the pet parents really want to know as much as possible and so we spend months building these with some of the biggest…with veterinarians and some of the biggest academic researchers in the field to be able to give you that kind of information. Our goal is really as a company is that no dog should have to die of a hereditary disease, and so we're attacking that by giving people information now but also working with the best researchers in the world to understand…to discover new things, and also working with breeders to help them breed out diseases from their animals and their dogs. Samantha: Yeah, our boxer's cardiomyopathy is a genetic disease that actually she's a rescue dog and came from some very irresponsible breeding, so that's a passion of mine that I like to educate people about as well, and actually one of my previous podcasts touched on that and I've written a lot of articles for that as well to educate people about irresponsible breeding and how a lot of these genetic diseases could very easily, like you said, be bred out if people would do the proper testing and things like that. So I have a passion for that as well, and kudos to you guys for working towards that. Ryan: Yeah, I mean ultimately it's a partnership with us and pet parents to generally do the best for the dogs they have now, but to demand, we want to be able to give the information that's going to enable people to know what breeders are, which breeders are reputable and really care about the health of their dogs. Then it's together kind of with the consumer demand for healthy breeding practices and information that we can provide that we can in the long run make dogs healthier across the board from breeding out these diseases. Samantha: Yeah it would be a wonderful thing if in future years breeders were required to have genetic testing on their dogs so that potential pet parents could see the diseases that would run in that family, I guess, of dogs. So it's a wonderful thing, and again, it's a passion of mine so I'm excited about it as well, and really kudos to you guys for doing that because it is certainly very important for dogs that we have now as well as future generations. I hope you guys enjoyed that interview and the conversation that I was able to have with Ryan, obviously I learned a lot in answer to my own personal question, and I hope that if any of you were wondering about dog DNA testing that's answered your question as well, and if you're new to dog DNA testing and you kind of stumbled across it or maybe you're a fan of my podcast, you've been listening and you just happened to listen this week to get some more information, you know it's definitely something that takes a little bit of research to understand and I encourage you to do that. I've posted a couple of links in the show notes for this podcast on our website TheoryofPets.com, and those include the Embark website as well as some other information about DNA testing and dog genetics, so you can start there and I will certainly give you a lot of information about where to begin your research and maybe if a dog DNA test is a good fit for your pet. So I hope you enjoyed this podcast, again I hope you guys got some great information out of it as I did, and if you did enjoy it and you wouldn't mind just taking a minute to give us a review on iTunes, that would be super beneficial to me, it helps me spread the news of the podcast faster and it also helps us, the better the reviews we get obviously the more pet experts I'm able to get in here and just experts in the industry overall I can get to speak with me, so that makes my job easier and it makes me be able to get in touch with some people to answer some of your questions as well. As always if you're new to the show, please hop on our website, TheoryofPets.com, there's a comments section, you can leave any comments or questions; there's a spot there where you can record a comment or question that I might use on a future podcast, and if you're not comfortable with that you can tape those comments and questions and anything pet related, it doesn't have to be dogs, if you have a question about pets let me know, I will do my best to answer it for you, find an expert in the field to chat with about it, and just get as much information as I can for you. Odds are if you have that question then there are other parents out there that do too, and the whole goal of Theory of Pets is to kind of bring us together as a community of pet owners, so I really would love to hear from you guys and that's going to be a big part of the show for me so I encourage you to jump on TheoryofPets.com, you'll see the comments section there and it's really easy to do. And again if you enjoyed this and you want to share it with others feel free to share it and make sure you get on iTunes and leave us a review. I will be back next week with another podcast for you guys, I can't wait to talk to you then. Have an excellent week and I hope you guys enjoy it.